Dahila is a genie who has been trapped for years inside of a stone, a consequence for the sin of loving a human. In the present-day, 16 year old Liana decides to wear her mother's charm bracelet for the first time since her death. Liana's mother had schizophrenia and ever since putting on her mother's charm, Liana has begun to see things, hear things and has been having strange dreams. In Liana's dreams, Dahlia is telling her a story, the story will help set Dahlia free, but it will also help keep Liana safe from Stefan. Stefan is another genie, an enemy to Dahila and now Liana. Liana soon meets Taffi, Stefan's son and together they enter the world of the genies and a tribal feud that has been raging for centuries. 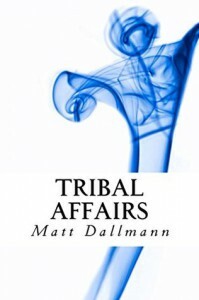 Tribal Affairs is a unique young adult book featuring genies. The writing switches between Liana and Dahlia, Dahila's story being mostly in dream form as she is trying to impart information to Liana in a non-threatening way. 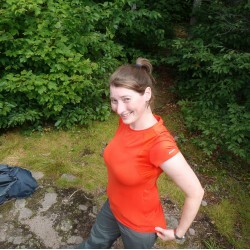 I was first intrigued by Dahila's demeanor and story of being trapped inside the stone. The story begins right as Liana puts on Dahlia's stone, so I didn't get to learn much about Liana before she believes she is schizophrenic and is involved in the genie world. I was taken away with the rules, knowledge and powers that the genies in the story had. I was very interested in the different types of genies and what they could do. I would have loved to learn more about their world, feuds and powers. Liana is a relatable character and I enjoyed her interactions with Taffi as well as what Taffi sacrificed. Overall, a fast-past, young adult read with genies leaving me wanting to go deeper into their world.